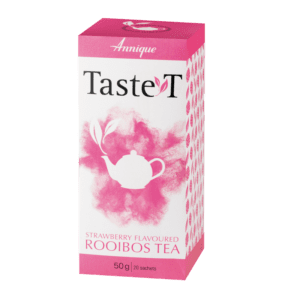 Peach Taste-T (pronounced taste-tea) is an enjoyable, yet sophisticated peach flavoured tea that allows you to enjoy your favourite Annique Rooibos Tea, with a fun twist! The Synergy Clear Complexion Freshener is a refreshing and effective oil balancing freshener. Synergy Cleansing Soap bar is a glycerine-rich facial bar. It is a gentle yet effective cleansing soap bar, suitable for oily and problem skin. Lucid Optimal Night Renewal is a rich nourishing crème to help hydrate and restore suppleness to dry, mature, sensitive skin without causing irritation. Hydrafine Normalising Cleansing Milk is a gentle non-irritating milk cleanser. 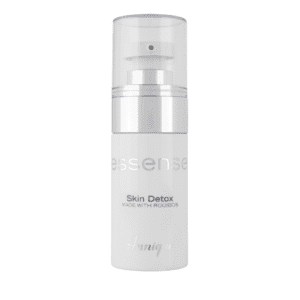 It easily removes impurities, without disturbing the skin’s delicate balance, leaving your skin feeling soft and clean. Hydrafine Ideal Herbal Moisturiser is a perfectly balanced moisturiser to help soothe condition and soften normal and combination skin. Contains a moisturising botanical complex which allows the skin to remain perfectly hydrated. Hydrafine Absolute Balancing Freshener has been formulated with a blend of herbal extracts, to help restore the pH balance of the skin. Recommended for pimples, skin blemishes and other sensitive skin conditions. With sufficient sun filters to protect against UV-rays. Wipes away dirt and leaves skin refreshingly clean and even toned. It also contains fruit acids to gently exfoliate dead skin cells and remove oiliness. Youth Boost is a superior anti-ageing treatment that contains the exceptional innovate ECM+ peptide that boosts collagen production to enable skin to behave as if it were several years younger. 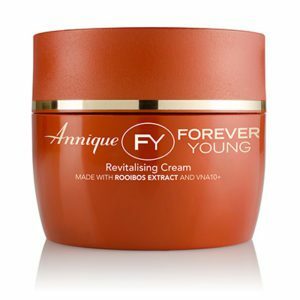 The renowned Revitalising Cream is the ideal anti-ageing cream for the restoration, renewal and rejuvenation of skin cells. Q10 Therapy contains pure co-enzyme Q10 that naturally energises the cells to help them perform better and to promote a youthful and healthier skin. 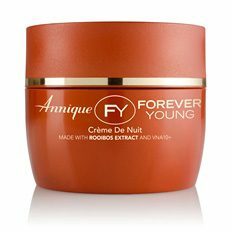 Crème de Nuit, a rich anti-ageing night cream, enhances the skin’s own repair process, by providing the necessary nutrients that the skin needs to heal itself while you sleep. 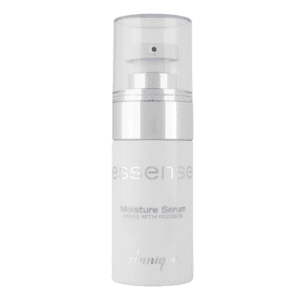 The Sensi Crème is a non-irritating, hypo-allergenic moisturiser specially formulated for sensitive skin. This unique cream is used to condition and coach very sensitive skin types to accept and respond (positively) to the other Annique moisturising, cleansing and nourishing products. 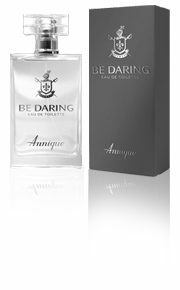 A pure masterpiece of eastern spices combined in an oriental, woody fragrance explosion. 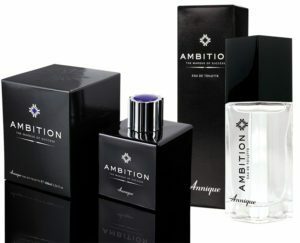 Notes of cinnamon, bergamot, saffron, black pepper and amber are at the core of this ultra-modern fragrance, accompanied by warm and seductive cedarwood. 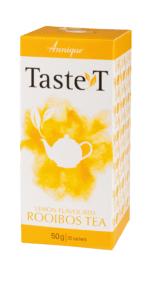 From the Good Earth and Mountains of the Cape of Good Hope – caffein free. 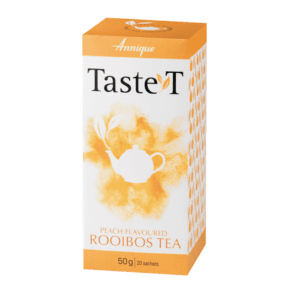 This product is all-natural, free of any preservatives or artificial colourants and hygienically treated for your health’s sake. 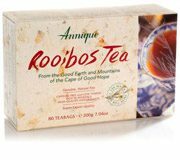 Rooibos with wild jasmine (Jaminum Multipartitum) is excellent for relaxation after a stressful day. Also helps to soothe acne skin if sprayed directly onto skin. Melissa leaves (Melissea Folium) promotes restful sleep. The Melissa herb is known for its antiseptic properties, calming and antidepressant effect. Used in treatments to counter hysteria and insomnia.